Chris DeBello is a lifelong resident of New Jersey and a 20+ year veteran of the radio industry. He got his start in 1988 when he became the overnight Disc Jockey at WFMV-FM in Blairstown New Jersey with the additional duty of vacuuming the building's lobby and sales office (seriously!). Chris quickly rose through the ranks to evenings and then afternoon drive. At that point he also picked up the role of Music Director. After three years on the performing side, Chris shifted over to advertising sales. This was first at WFMV-FM and then at WPMR-AM/FM in Mount Pocono Pennsylvania. 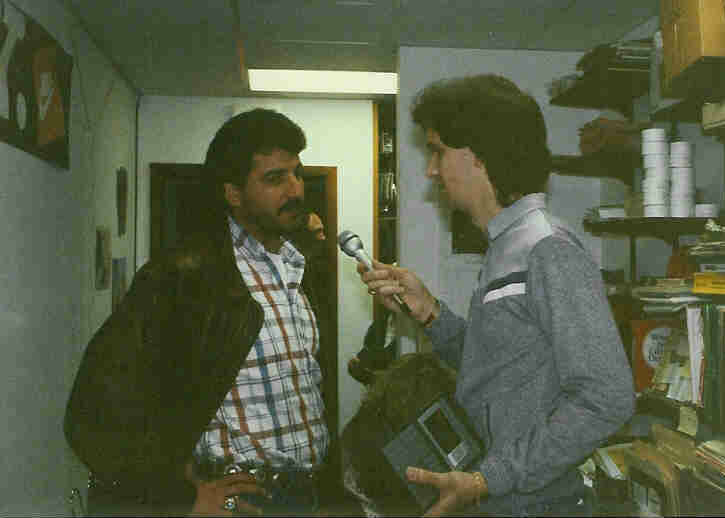 While at WPMR, Chris eventually became Sales Manager. 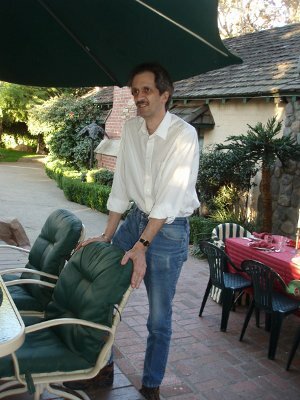 His work in that role saw the station's revenue increase to a level that attracted the attention of another company who saw potential with the station. They proceeded to buy the station...and show everyone there the exit. 1995 marked the first time in seven years that Chris was without a job in radio. That lasted all of three weeks. He returned to WFMV-FM, which had become WHCY-FM, first in sales and then returning to the studio. Once again, Chris quickly moved through the ranks and was once again doing the afternoon show and serving as Music Director. In 1998, Chris was shifted over to WNNJ-AM to...well...do something as the Morning Host. 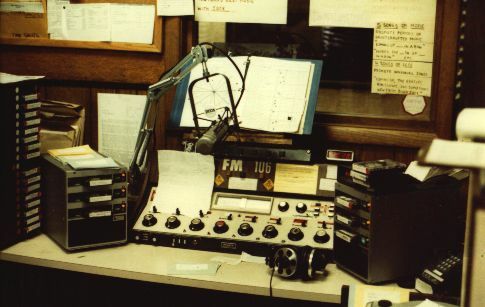 WNNJ-AM had been on the air since 1953 but had fallen on some lean times with listener numbers and revenue. Since there was nowhere to go but up, Chris started to incorporate talking about what was in the news that day along with the music he was playing. After six months, when it became clear that more people were listening, the music in the mornings went away and Chris focused more on talking about the news with his observations as well as with guests. His show became a stop for politicians to talk issues, people with causes, authors with books, entertainers with upcoming performances and many others. Issues And Ideas With Chris DeBello is available to stations across America. It's the easiest and most economical way to ensure compliance with all FCC public affairs requirements. As is the case in radio, careers are always fluid. In 2002 the format of WNNJ-AM was changed and so was Chris' role. He went from doing a daily show on one radio station owned by Clear Channel Tri-State in Northern New Jersey to a weekly show on their four stations. Issues And Ideas With Chris DeBello debuted in January of 2003. Chris also picked up the role of Public Affairs Director for the four stations. Just as he did with his morning show, Issues And Ideas quickly gained listeners and recognition for the topics discussed and the guests the show brought to listeners. The format Chris created for Issues And Ideas provided for several different guests who joined Chris in talking about and addressing different topics in each segment. Chris also made it a point never to rely on a small group of experts or pundits like many other shows do. He has always told people that if you appear on the show twice in a year, that makes you a regular guest. Now Chris has launched Issues And Ideas on a national platform. The goal and the methods are still the same. Bring a variety of views on a variety of topics to the listener with the hope that they'll become better informed, aware and feel the need to take action in matters that have put out the call. 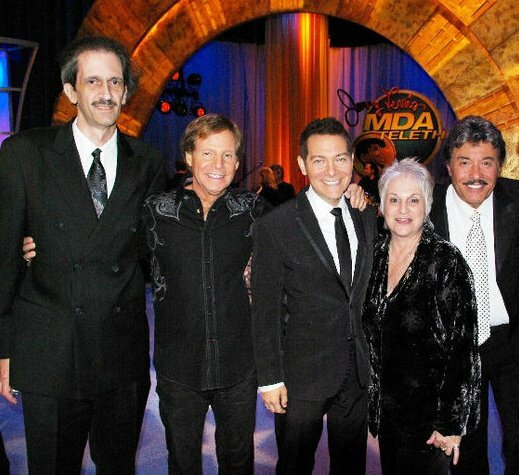 Along with his radio work, Chris has devoted significant amounts of his time in supporting the work of the Muscular Dystrophy Association and raising awareness about the issue of domestic violence. He's also appeared in the political documentary 100 Signatures.